I can't believe that I've now being not pregnant longer than I was pregnant with Parker. I do miss pregnancy. Not the first 16 weeks, they are apparently always going to be awful for me but the rest of the weeks I enjoy so much. Second time around my pregnancy flew and I felt like I didn't truly get to appreciate everything like I did while pregnant with Paige. At 9 months postpartum I feel really good. To be honest not a lot has changed from my 6 months postpartum update. My nails are now back to normal. My skin started getting worse around 7/8 months postpartum so I'm trying to get that under control. Maybe it's a shift in hormones or something. I'm properly back to my pre pregnancy weight but didn't do anything to lose the last 2lbs I had left ay 6 months postpartum. To be honest running around after a toddler was all I did and the weight came off quicker than it did postpartum with Paige. I wish I'd taken measurements to compare those but I didn't but they can't be too different as my clothes fit the same. I have just started working out again and by just started I mean I've worked out once haha. I am slowly trying to tone up a little, mainly my stomach. But to say I haven't worked out my stomach could be a lot worse. Yes I have stretch marks and my belly button will never look the same but I don't care. I'm proud of what my body has done and that I've made two healthy babies. It is a little softer than I would like but I can work on that. I am still waking up once a night with Parker but I'm ok with that. He will drop that feed when he is ready, I'm in no rush. Full nights sleep are a thing of the past but that's ok too. My dark circles are horrible and that is probably the only thing I hate but I normally have them anyway. Other than that I am enjoying my time with both Paige and Parker. They are growing so fast and in the blink of an eye Paige will be 3 and Parker will be 1. 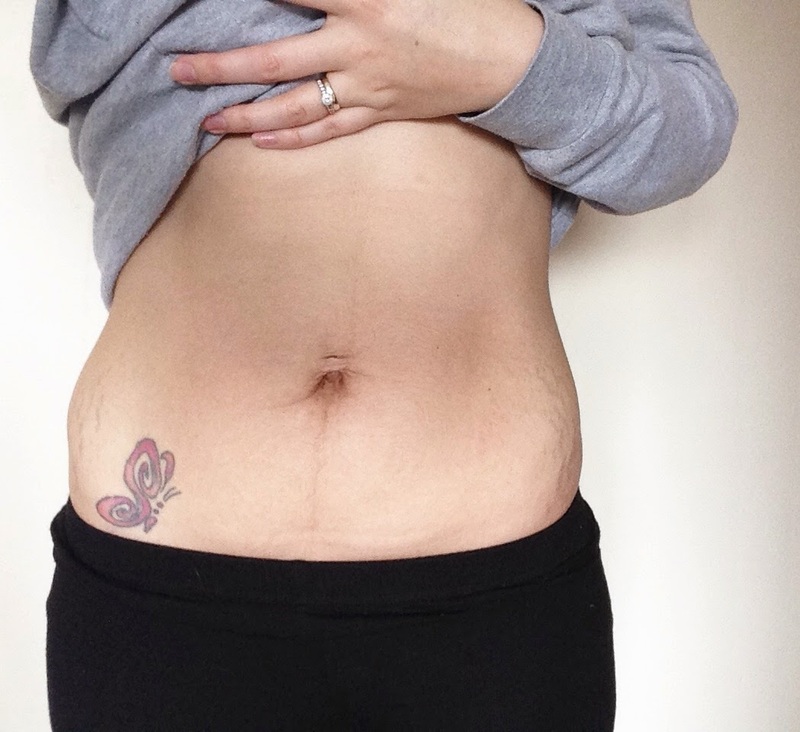 How did you feel at 9 months postpartum? 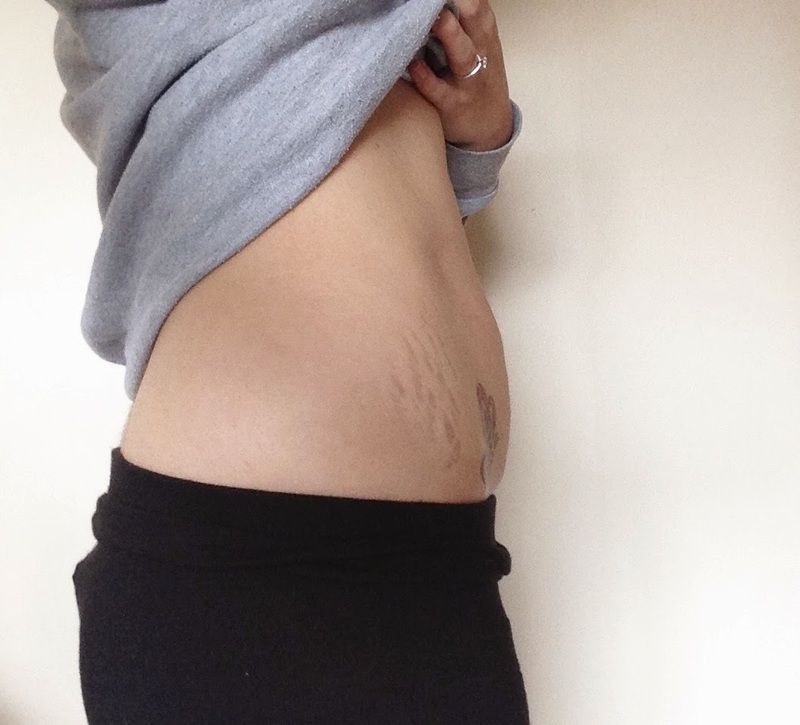 I can't remember how I felt 9 month postpartum even though it wasn't that long ago.